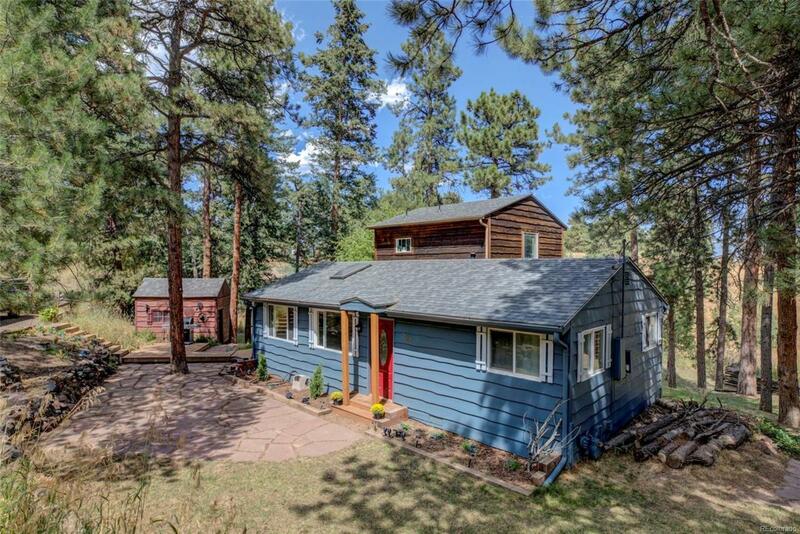 Remodeled Mountain Retreat Only 20 Minutes from Downtown Denver. Escape the Congestion and Embrace the True Colorado Lifestyle. Over One Half Acre Picturesque Lot. Master Retreat Offering Vaulted Ceilings, Walk-In Closet, Private Deck and Scenic Views. Master En Suite Bath with Jetted Tub, Wainscoting, Pedestal Sink & Separate Shower. Open Kitchen Featuring Gas Range, Abundant Cabinetry, Bar Seating and All Appliances Included. Expansive Family Room Boasting Tall Ceilings and Panoramic Views. Hardwoods, Chair Rail and New Light Fixtures in Main Floor Beds. Myriad of Outdoor Spaces Including Flat Yard, Multiple Decks, Flagstone Patios and Fire Pit. Three Parking Spaces, Utility Shed and Small Barn. Terrific Opportunity for Airbnb and VRBO. High Demand Feeder Schools with Ralston Elementary and Golden High. Easy Access to Skiing, Restaurants, Hiking & Biking Trails, Evergreen, Downtown Golden & Downtown Denver. Great Alternative to Smaller and More Expensive Bungalow in the City.